January 1 – Scotland adopts January 1 as New Year's Day. January – Sebald de Weert makes the first definite sighting of the Falkland Islands. February 17 – Giordano Bruno is burned at the stake for heresy in Rome. February 19 – Huaynaputina volcano in Peru undergoes a catastrophic eruption, the worst to be recorded in South America. March 20 – Linköping Bloodbath: Public execution by decapitation of five Swedish nobles and de facto deposition of the Polish–Swedish King Sigismund III Vasa as ruler of Sweden. April 19 - First Dutch ship ever to arrive in Japan The ship, called "Liefde" ("Love"), anchored in Sashifu, in the Bungo area (nowadays Usuki in Oita Prefecture). July 2 – Battle of Nieuwpoort in the Eighty Years' War (Dutch War of Independence) between the Dutch and the Spanish. August 5 – The brothers Alexander Ruthven and John Ruthven, 3rd Earl of Gowrie, are killed during a failed attempt to kidnap or murder King James VI of Scotland at their home. October 21 – Battle of Sekigahara in Japan, granting Tokugawa Ieyasu nominal control over the whole country. December 31 – East India Company granted a Royal Charter in the Kingdom of England. Sumo wrestling becomes a professional sport in Japan. William Shakespeare's A Midsummer Night's Dream is first performed and his play The Merchant of Venice is published. William Gilbert publishes De Magnete, which describes the Earth's magnetic field and is the beginning of modern Geomagnetism. Fabritio Caroso's Nobiltà de dame is published. Ulster chieftains, with the lead of Hugh O'Neill, 2nd Earl of Tyrone, resist the English reconquest of Ireland. 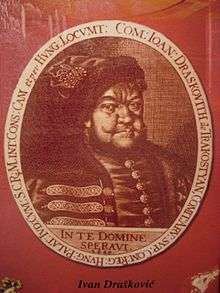 A Persian embassy arrives in Prague and meets with Rudolf II. Martin Möller is appointed chief pastor of Görlitz. The Lutheran orthodox campaign intensifies to reinforce the Book of Concord (approximate date). January 17 – Treaty of Lyon: France gains Bresse, Bugey and Gex from Savoy, ceding Saluzzo in exchange. February 8 – Robert Devereux, 2nd Earl of Essex, longtime favorite of Queen Elizabeth I of England, rebels against the queen; his revolt is quickly crushed. 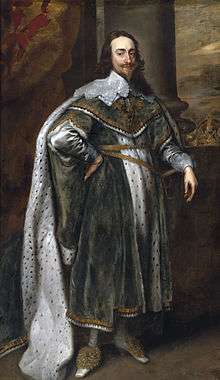 February 25 – Robert Devereux is beheaded. Spring – Possible first performance of William Shakespeare's tragedy Hamlet. December 24 (Julian calendar; January 3, 1602, according to the Gregorian calendar used by the Irish and Spanish forces in the battle) – The Battle of Kinsale ends the siege of Kinsale, Ireland (begun in autumn 1601). Dutch troops attack the Portuguese in Malacca. The Jesuit Matteo Ricci becomes the first European to enter the Forbidden City in Beijing, China, during the Ming dynasty. A bad harvest occurs in the Tsardom of Russia, due to a rainy summer, causing the Russian famine of 1601–03. By 1601 - Martin Möller is accused of Crypto-Calvinism. The Battle of Seaton is fought. January 3 – Battle of Kinsale: The battle happened on Thursday, 3 January 1602 according to the Gregorian calendar used by the Irish and Spanish forces in the battle, although, for the English who were still using the old Julian calendar, the date of the battle was Thursday, 24 December 1601. February 2 (Candlemas night) – First known production of William Shakespeare's comedy Twelfth Night, in London. 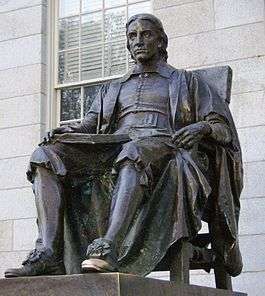 May 15 – English explorer Bartholomew Gosnold becomes the first European at Cape Cod. November 8 – The Bodleian Library at Oxford University is opened. December 11 – A surprise attack by forces under the command of Charles Emmanuel I, Duke of Savoy, and his brother-in-law, Philip III of Spain, is repelled by the citizens of Geneva (This actually took place after midnight, in the early morning of December 12, but commemorations/celebrations on Fête de l'Escalade are usually held on December 11 or the closest weekend). Ben Jonson writes The Poetaster. William Shakespeare's comedy The Merry Wives of Windsor is published. The Safavid dynasty of Persia and the Spanish Empire conclude a defensive alliance and declare war on the Ottoman Empire. Copies are printed of the geographical map of East Asia created by Matteo Ricci, an Italian Jesuit stationed in Ming dynasty Beijing, China, with Chinese-written labeling and map symbols. Publication of the play A Larum for London, or the Siedge of Antwerp in London. February 25 – Dutch–Portuguese War: the Portuguese ship Santa Catarina is seized by Dutch East India Company ships off Singapore. The first permanent Dutch trading post in Indonesia is established in Banten. March – French explorer Samuel Champlain sails to Canada. March – beginning of Fulda witch trials. Queen Elizabeth I of England dies at Richmond Palace (having ruled since 1558) and is succeeded by her cousin's grandson, King James VI of Scotland (where he has ruled since 1567), uniting the crowns of Scotland and England. Tokugawa Ieyasu is granted the title of shogun from Emperor Go-Yozei, and establishes the Tokugawa Shogunate in Edo, Japan. Start of the 265-year-long Edo period. March 31 – The Nine Years War (Ireland) is ended by the submission of Hugh O'Neill, Earl of Tyrone, to the English Crown and the signing of the Treaty of Mellifont. April 28 – The funeral of Elizabeth I of England is held in Westminster Abbey. July 17 or July 19 – Sir Walter Raleigh is arrested for treason. July 25 – James I is crowned as King of England in Westminster Abbey. Ceremonies are limited because of plague. 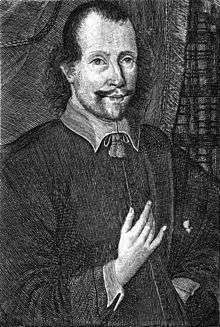 September 20 – Samuel Champlain arrives back in France. October – Sangley Rebellion takes place, ending in the massacre of 20,000 Sangley Chinese in Manila. November 17 – Sir Walter Raleigh goes on trial for treason in the converted Great Hall of Winchester Castle. He is found guilty but his life is spared by King James I at this time and he is returned to imprisonment in the Tower of London. December 22 – Ottoman Dynasty: Sultan Mehmed III of the Ottoman Empire dies and is succeeded by his son Ahmed I. A rebellion breaks out in Transylvania. French Huguenot Pierre de Gua is granted royal permission to settle in North America, founding the colony of Acadia. Yaqob is deposed as Emperor of Ethiopia by Za Sellase, who appoints his cousin Za Dengel to replace him. 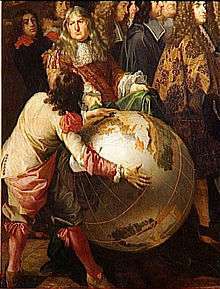 Johann Bayer publishes the star atlas Uranometria, the first to cover the entire celestial sphere. The Accademia dei Lincei, the oldest scientific academy in the world, is founded in Rome by Federico Cesi. The earliest of eight companies that would eventually merge to form the Kikkoman Corporation, the ubiquitous producers of soy sauce, is founded in Japan. September 1 – Sri Guru Granth Sahib, the religious text of Sikhism, is installed at Harmandir Sahib in Amritsar. September 20 – Ostend is captured by Spanish forces under Ambrogio Spinola after a 3-year siege. October 9 – The supernova which becomes known as Kepler's Supernova (SN 1604) is first observed from the northern parts of the Italian Peninsula. 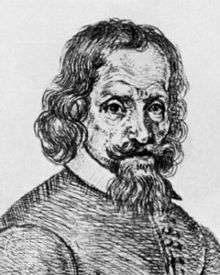 From October 17, Johannes Kepler begins a year's observation of it from Prague. There won't be another "naked-eye" supernova to be seen until 1987. As of 2006, this is the last supernova to be observed in the Milky Way. December 26 (St. Stephen's night) – First recorded performance of Shakespeare's tragedy King Lear, before King James I of England in the banqueting hall of Whitehall Palace. The Sikh holy scripture Guru Granth Sahib is compiled and edited by Guru Arjan. January 16 – The first part of Miguel de Cervantes' satire on the theme of chivalry, Don Quixote (El ingenioso hidalgo don Quixote de la Mancha, "The Ingenious Hidalgo Don Quixote of La Mancha"), is published in Madrid. One of the first significant novels in the western literary tradition, it becomes a global bestseller almost at once. March 11 – A proclamation declares all people of Ireland to be the direct subjects of the British Crown and not of any local lord or chief. April 1 – Pope Leo XI succeeds Pope Clement VIII as the 232nd pope. April 13 – Tsar Boris Godunov dies; Feodor II accedes to the Russian throne. 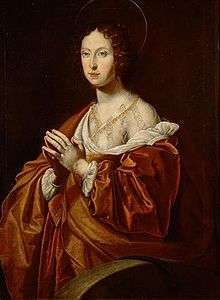 April 16 – In England, John Winthrop, later governor of the future Massachusetts Bay Colony, marries his first wife (of 4), Mary Forth, daughter of John Forth, of Great Stambridge, Essex. May 16 – Pope Paul V succeeds Pope Leo XI as the 233rd pope, making this the last Year of Three Popes until 1978. June 1 – Russian troops in Moscow imprison Feodor II and his mother, later executing them. June 20 – Pretender Dmitriy and his supporters, including troops of the Polish–Lithuanian Commonwealth, march to Moscow. July 4 – A proclamation commands all Roman Catholic seminary priests and Jesuits to leave Ireland by December 10 and directs the laity to attend Church of Ireland services. July 21 – Pretender Dmitriy is officially crowned Tsar Dimitriy Ioannovich of Russia in Moscow by Patriarch Ignatius. September 27 – Swedish armies are decisively defeated by Polish–Lithuanian Commonwealth cavalry in the Battle of Kircholm. First publication of Relation aller Fürnemmen und gedenckwürdigen Historien by Johann Carolus in Strasbourg (Holy Roman Empire), generally regarded as the world's first newspaper. De Nieuwe Tijdinghen, a Dutch proto-newspaper, is also published this year. Francis Bacon's Of the Proficience and Advancement of Learning, Divine and Human is published in London. 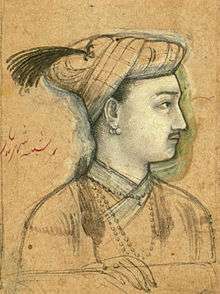 November 3 – Jahangir begins his 22-year reign of the Mughal Empire. November 5 – Gunpowder Plot: A plot to blow up the English Houses of Parliament is foiled when, following a tip-off, Sir Thomas Knyvet, a justice of the peace, finds Catholic plotter Guy Fawkes in a cellar below the Parliament building and orders a search of the area. 36 barrels of gunpowder are found and Fawkes is arrested for trying to kill King James I of England and the members who are scheduled to sit together in Parliament the next day. 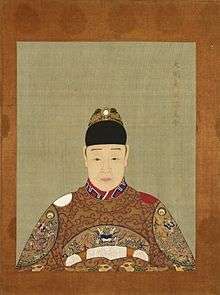 Tokugawa Ieyasu abdicates as shogun of Japan, becoming Ogosho. His son Tokugawa Hidetada succeeds him to the office. Habitation at Port-Royal established by France under Pierre Dugua, Sieur de Mons, the first European colonization of Nova Scotia in North America (at this time part of Acadia); the Gregorian calendar is adopted. Crew of the Olive become the first English visitors to Barbados. Refugee French Huguenot merchants begin to settle in Dublin and Waterford. The Priory of St. Gregory's is founded at Douai, Flanders, at this time in the Spanish Netherlands, by its first prior, John Roberts, and other exiles, thus becoming the first English Benedictine house to renew conventual life after the English Reformation. More than two centuries later the community will establish Downside Abbey back in England. The Irish College in Paris is co-founded by John Lee, an Irish priest, and John de l'Escalopier, President of the Parlement. Central Mexico's Amerindian population reaches one million. January 26 – Pedro Fernandes de Queirós discovers the Pitcairn Islands. January 27 – Gunpowder Plot: The trial of Guy Fawkes and other conspirators for plotting against Parliament and James I of England begins. January 31 – Guy Fawkes is executed. 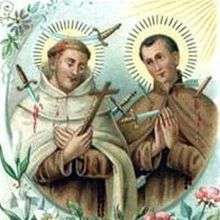 February 9 – Pedro Fernandes de Queirós discovers Mehetia. February 12 – Pedro Fernandes de Queirós discovers Tauere atoll. February 26 – Dutch navigator Willem Janszoon makes the first confirmed sighting of Australia by a European. March – The Duke of York's ship Duyfken, under Captain Willem Janszoon, explores the western coast of Cape York Peninsula. 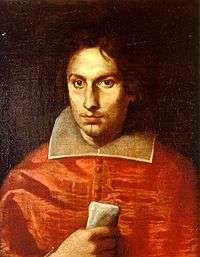 March 19 – Ferdinando I de' Medici, Grand Duke of Tuscany, in the Fortezza Vecchia Chapel of Saint Francesco, elevates Livorno to the rank of city. April 10 – Charter of 1606: The First Charter of Virginia is adopted, by which King James I of England grants rights to the Virginia Company (comprising the London Company and Plymouth Company) to settle parts of the east coast of North America. April 12 – First version of the Union Flag created, to be worn as a national flag by English and Scots ships. 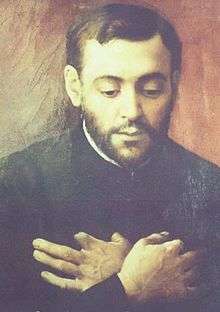 May – Pedro Fernandes de Queirós discovers the islands of Vanuatu; believing them to be Australia, he names them La Austrialia del Espiritu Santo. May 17 – Supporters of Vasili Shuisky invade the Kremlin and kill Tsar Dimitri II of Russia. August (approx.) – Possible first performance of William Shakespeare's tragedy Macbeth in London. August 14 – A Dutch fleet is defeated by the Portuguese in the Battle of Cape Rachado. October – Luís Vaz de Torres is the first European to sail through the Torres Strait. November 11 – Peace of Zsitvatorok between the Ottoman and Holy Roman Empires. The independence of Transylvania is recognized by both sides and Austria's annual tribute to the Ottomans is abolished. A storm buries the village of St Ismail near modern-day Kidwelly, Carmarthenshire, Wales. 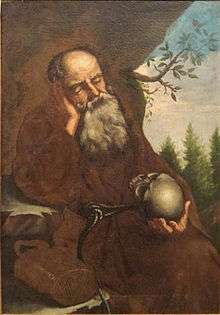 The Jesuit Joannis Stribingius visits Latvia, and describes Latvian mythology. The Evangelic Lyceum (Evanjelické lýceum), a Lutheran high school is founded in Bratislava. The cryptographic text Steganographia, written by Johannes Trithemius c.1499, is published in Frankfurt. Gregor Richter succeeds Martin Möller as the chief pastor of Görlitz. January 13 – The Bank of Genoa fails after the announcement of national bankruptcy in Spain. January 30 – A massive wave sweeps along the Bristol Channel, possibly a tsunami, killing 2,000 people. February 24 – Première of Claudio Monteverdi's L'Orfeo, the earliest fully developed opera in the modern-day repertoire, at the Ducal Palace of Mantua. March 10 – Susenyos defeats the combined armies of Yaqob and Abuna Petros II at the Battle of Gol in Gojjam, which makes him Emperor of Ethiopia. April 25 – Battle of Gibraltar: A Dutch fleet destroys a Spanish fleet anchored in the Bay of Gibraltar. April 26 – English colonists make landfall at Cape Henry, Virginia, later moving up the James River. May 14 – Jamestown, Virginia, is established as the first permanent English settlement in North America (the modern-day United States), beginning the American frontier. May 15 – Jamestown: Christopher Newport, George Percy, Gabriel Archer, and others travel 6 days exploring along the James River up to the falls and Powhatan's village. 200 armed Indians attack the Jamestown settlement, killing 2 and wounding 10. May 28 – Jamestown: The Fort is pallisadoed: "we laboured, pallozadoing our fort" [Gabriel Archer (Arber)]. 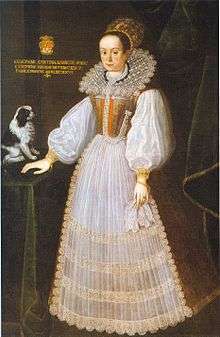 June 5 – John Hall marries Susanna, daughter of William Shakespeare. June 8 – Newton rebellion: The Tresham landowners family kills 40–50 peasants during protests against the enclosure of common land in Newton, Northamptonshire, England, at the culmination of the Midland Revolt. June 10 – Jamestown: Captain John Smith is released from arrest and sworn in as a member of the colony Council. June 22 – Christopher Newport sails back to England. June 27 – Jamestown: The colony bears extreme toil in strengthening the fort [from John Smith, Proceedings (Barbour 1964:210)]. August 13 – The ship Gift of God of the Plymouth Company arrives at the mouth of the modern-day Kennebec River in Maine. English colonists establish Fort St. George, also known as the Popham Colony. The settlement lasts little more than a year, before residents return to England in the first oceangoing ship built in the New World, a 30-ton pinnace called The Virginia. 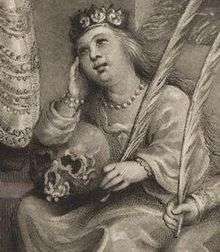 September 5 – Hamlet is performed aboard the East India Company ship Red Dragon, under the command of Capt. 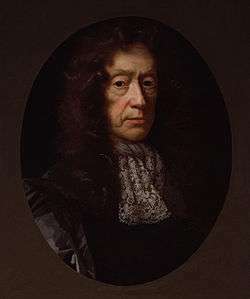 William Keeling, anchored off the coast of Sierra Leone, the first known performance of a Shakespeare play outside England in English, and the first by amateurs. September 10 – Jamestown President Edward Maria Wingfield is deposed and John Ratcliffe elected. September 14 – Flight of the Earls: Hugh O'Neill, 2nd Earl of Tyrone, and Rudhraighe Ó Domhnail, 1st Earl of Tyrconnell, flee Ireland for Spain with ninety followers to avoid capture by the English crown, never to return. December (early) – Captain John Smith of the Jamestown Colony is captured by Opchancanough and then sent to Chief Powhatan for execution; Pocahontas rescues him. At Jamestown, Virginia, Christopher Newport returns in a ship with the First Supply and about 100 new settlers; he finds only 38 survivors. Powhatan releases Captain John Smith. January 7 – Fire destroys "all the houses in the fort" at Jamestown; the fort is repaired in March. January 8 – Ensign Thomas Savage arrives in Jamestown with the First Supply under Christopher Newport. January 17 – Emperor Susenyos I of Ethiopia defeats an Oromo army at Ebenat; 12,000 Oromo are reportedly killed at a cost of 400 Amhara. March 18 – Susenyos is formally crowned Emperor of Ethiopia at the ancient city of Axum. April 10 – Jamestown, Virginia: Christopher Newport again sails for England. May 14 – The Protestant Union is founded in Auhausen. 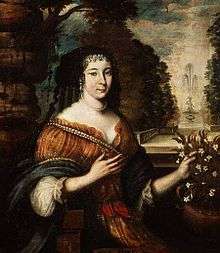 July 3 – Quebec City is founded by Samuel de Champlain. July – The English ship Mary and Margaret, captained by Christopher Newport, leaves England bound for Jamestown, Virginia. August 24 – The first official English representative to India, Captain William Hawkins, lands at Surat. September 10 – John Smith is elected council president of Jamestown, and begins expanding the fort. September 21 – The University of Oviedo, Spain is founded. October 1 – At Jamestown, a second supply ship, the Mary and Margaret, arrives with Christopher Newport, including 70 settlers, bringing the population back up to 120; the passengers include 8 glassmen. 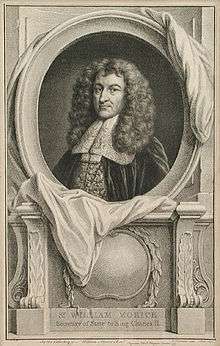 October 2 – Dutch lens maker Hans Lippershey demonstrates the first telescope in the Dutch parliament. December – Jamestown: Christopher Newport returns to England carrying cargo with "tryals of Pitch, Tarre, Glasse, Frankincense, Sope Ashes ..."
The first cheques are used in the Netherlands. Old Bushmills Distillery is founded in Bushmills, County Antrim, Ireland. Uniform Land-Tax Law is imposed in Korea. January – The Basque witch trials begin. January 15 – One of the world's first newspapers, Avisa Relation oder Zeitung, begins publication in Wolfenbüttel (Holy Roman Empire). January 31 – Bank of Amsterdam is established. February 4 – The last day of Keichō 慶長 13 (according to the Japanese lunar calendar). 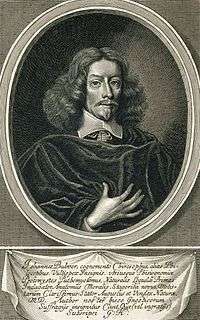 c. March – Hugo Grotius publishes Mare Liberum, his legal text on freedom of the seas, in Leiden. King Philip III of Spain signs an edict to expel of all moriscos from his country (see September 11). 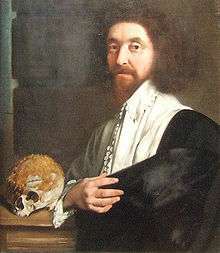 English explorer Henry Hudson in the service of the Dutch East India Company sets out from Amsterdam in the Halve Maen. April 5 – Invasion of Ryukyu in Japan: Soldiers of the Shimazu clan capture the castle on Ryukyu Island, beginning to make the Ryukyu Kingdom a vassal of Satsuma han. April 9 – By the Treaty of Antwerp the Netherlands and Spain agree the Twelve Years' Truce (1609–1621) in the Eighty Years' War, allowing the Dutch East India Company to trade within the Spanish Empire. May 20 – London publisher Thomas Thorpe issues Shake-speares Sonnets, with a dedication to "Mr. W.H. ", and the poem A Lover's Complaint appended; it is uncertain whether this publication has Shakespeare's authority. May 23 – The Second Virginia Charter is officially ratified; it is intended to replace the council with a Governor who has absolute control in the colony. c. Early July – Samuel de Champlain claims the Lake Champlain area of Vermont for the Kingdom of France. 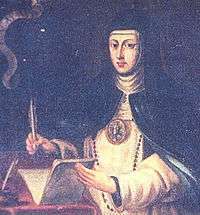 July 6 – Bohemia is granted freedom of religion (Letter of Majesty). July 10 – The German Catholic League is formed to counteract the Protestant Union. July 23 – A hurricane at sea separates the 9 London Company's ships (600 more settlers) en route to relieve the Jamestown settlement, one ship sinks, and the Sea Venture is driven ashore at Bermuda on July 25, thus effectively first settling the colony. July 30 – At what is now Crown Point, New York, Samuel de Champlain participates in a battle between the Huron and Iroquois, shooting and killing two Iroquois chiefs; this helps set the tone for French–Iroquois relations for the next 100 years. August 25 – Galileo Galilei demonstrates his first telescope to Venetian officials. August 28 – Henry Hudson is the first European to see Delaware Bay. August – Seven ships arrive at the colony of Jamestown, Virginia, with 200–300 men, women, and children, reporting the Sea Venture wrecked near Bermuda. September 2 – Henry Hudson enters New York Bay aboard the Halve Maen. September 10 – Jamestown: Capt. George Percy replaces Captain John Smith as president of the Council, and Smith returns to England. September 11 – Valencia expels all the Moriscos (see April 4). September 11–12 – Henry Hudson in the Halve Maen sails into Upper New York Bay and begins a journey up the Hudson River. October 12 – A version of the rhyme "Three Blind Mice" is published in London. 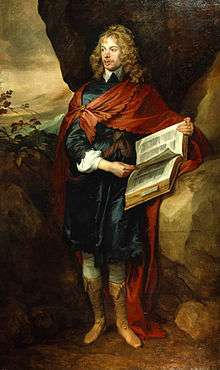 The editor, and possible author of the verse, is the teenage Thomas Ravenscroft. The Dutch East India Company imports tea to Europe. The Dutch East India Company establishes a trading post in Hirado, Japan. The municipality of Buenavista in Marinduque, Philippines is founded. The Statutes of Iona are passed, marking the end of the bloody feuds between the clans in the Scottish Highlands. The Douay–Rheims Bible Old Testament translation from the Vulgate into English vol. 1 is published in Reims. 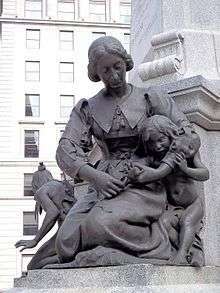 English-born Sister Mary Ward founds the Sisters of Loreto at Saint-Omer, at this time in the Spanish Netherlands. Johannes Kepler publishes his first two laws of planetary motion in Astronomia nova. Cornelis Drebbel invents the thermostat. 1 2 3 4 Palmer, Alan; Veronica (1992). The Chronology of British History. London: Century Ltd. pp. 166–168. ISBN 0-7126-5616-2. ↑ Edwards, Phillip, ed. (1985). 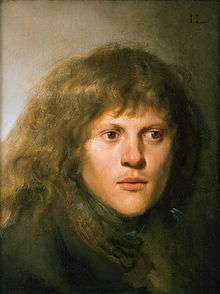 Hamlet, Prince of Denmark. New Cambridge Shakespeare. Cambridge University Press. 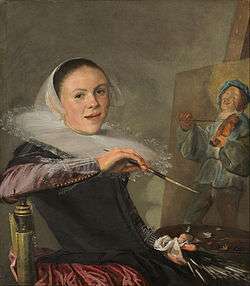 p. 8. ISBN 0-521-29366-9. Any dating of Hamlet must be tentative. Scholars date its writing as between 1599 and 1601. ↑ Shakespeare, William (2001). Smith, Bruce R., ed. Twelfth Night: Texts and Contexts. Boston, Mass: Bedford/St Martin's. p. 2. ISBN 0-312-20219-9. 1 2 3 4 Penguin Pocket On This Day. Penguin Reference Library. 2006. ISBN 0-14-102715-0. ↑ Des Sauvages: ou voyage de Samuel Champlain, de Brouages, faite en la France nouvelle l'an 1603. ↑ Jose Eugenio Borae. "The massacre of 1603: Chinese perception of the Spaniards in the Philippines" (PDF). Homepage.ntu.edu.tw. Retrieved 2016-01-09. ↑ "SN 1604, Kepler's Supernova". Archived from the original on January 31, 2010. Retrieved 2011-06-22. ↑ "Three Great Eyes on Kepler's Supernova Remnant". NASA. Retrieved 2011-06-22. 1 2 Scholars date completion as between 1603 and 1606. Boyce, Charles (1990). Encyclopaedia of Shakespeare. New York: Roundtable Press. ↑ The exact date is unknown, but a surviving account book for the year ended September 30 1604 proves it was built within the preceding 12 months. 1 2 Moody, T. W.; et al., eds. (1989). A New History of Ireland. 8: A Chronology of Irish History. Oxford University Press. ISBN 978-0-19-821744-2. ↑ Timeline of History. DK Publishing. 2011. p. 203. ISBN 978-0-7566-8681-9. ↑ Historic England. 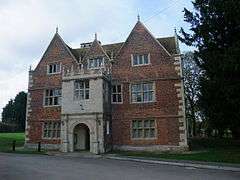 "The Red Hall (Grade II) (1259132)". National Heritage List for England. Retrieved April 6, 2013. ↑ "Huguenot Timeline". Genealogy Forum. Armada, Michigan. January 2006. Retrieved November 19, 2013. ↑ McHugh, Evan (2006). 1606: An Epic Adventure. Sydney: University of New South Wales Press. p. 20. ISBN 978-0-86840-866-8. ↑ Richardson, William A. R. (2008). Was Australia Charted Before 1606: the Jave la Grande Inscriptions. Australia: Everbest. p. 20. ↑ "First Germans at Jamestown 1" (history), Davitt Publications, 2000, webpage: GHfirst. 1 2 Hunter, Douglas (2009). Half Moon: Henry Hudson and the voyage that redrew the map of the New World. London: Bloomsbury Press. ISBN 1-59691-680-X. ↑ Williams, Hywel (2005). Cassell's Chronology of World History. London: Weidenfeld & Nicolson. pp. 238–243. ISBN 0-304-35730-8. ↑ Nevius, Michelle; James (2008-09-08). "New York's many 9/11 anniversaries: the Staten Island Peace Conference". Inside the Apple: A Streetwise History of New York City. Retrieved 2011-10-25. ↑ Juet, Robert (1625). "Juet's Journal of Hudson's 1609 Voyage". 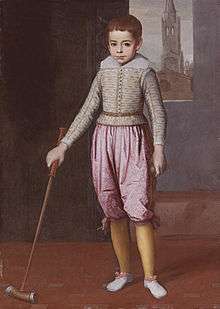 In Purchas, Samuel. 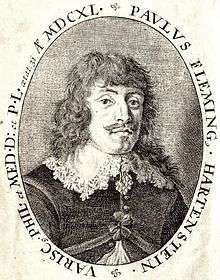 Hakluytus Posthumus, or Purchas his Pilgrimes. 4. ↑ In Deuteromelia or The Seconde part of Musicks melodie. ↑ Opie, Iona; Peter (1997). The Oxford Dictionary of Nursery Rhymes (2nd ed.). Oxford University Press. p. 306. ISBN 0-19-860088-7.